Step away from the stress of life as you relax in one of our five private log cabins with stunning views of Ohio’s Amish country. All of our cabins feature luxurious Jacuzzis to help you forget about the pressures of daily life. You’ll return home refreshed and renewed after staying in our furnished, quiet country cabins — ready to start fresh! 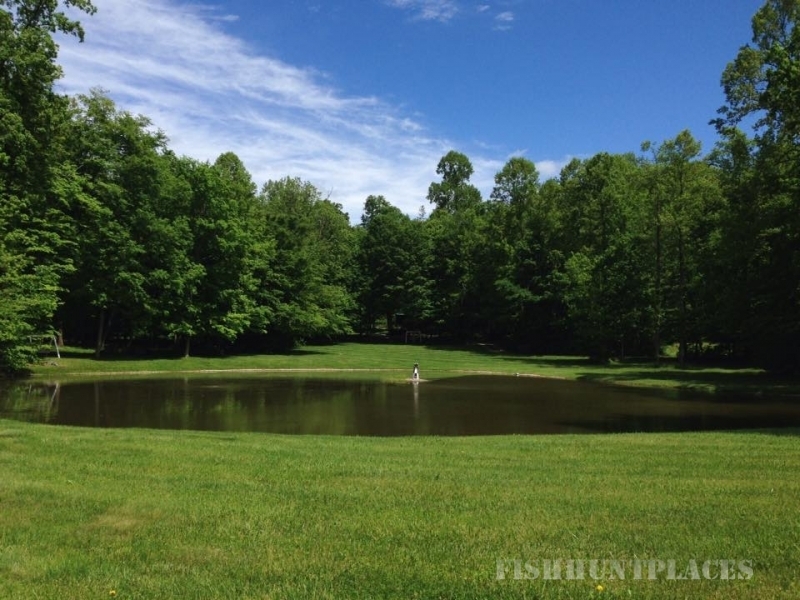 Whether you’re looking for a quick weekend getaway, a place to celebrate your honeymoon or anniversary, or simply a place to stay as you pass through town, give us a call at 330-674-0996 to ask questions or to rent a cabin. Our cabins are spaced approximately 350 feet apart. During the winter season when the trees are bare, the cabins are a little visible from our house and the road. 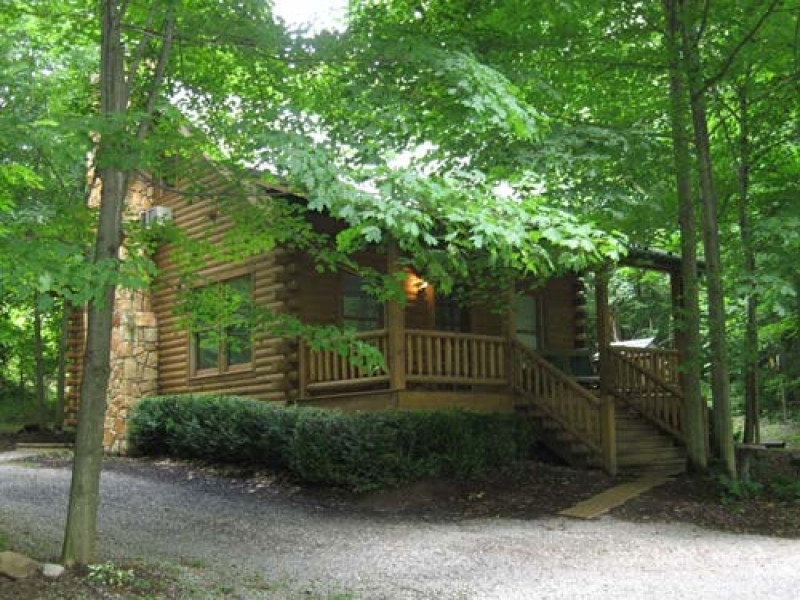 But after the leaves are out, the log cabins are very secluded, and you can relax in the privacy of your hideaway. 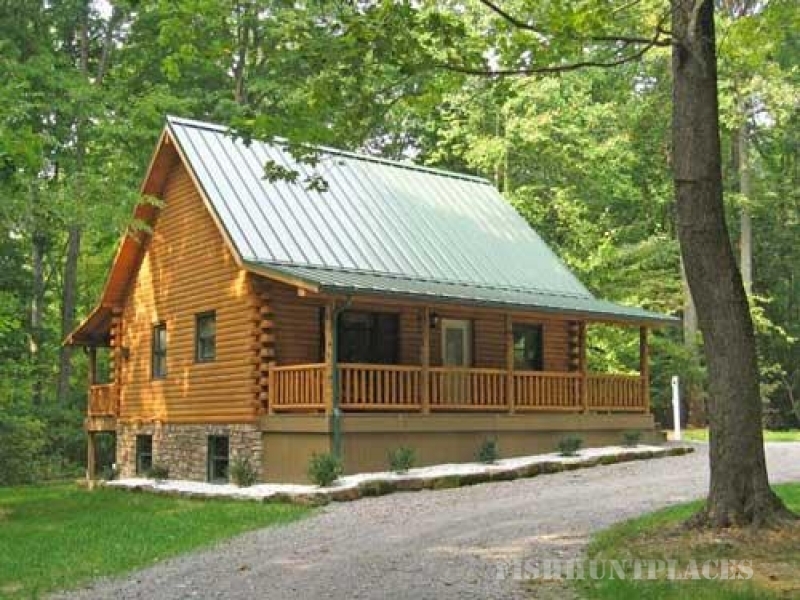 This 22' x 24' log cabin was built in 1999 and is nestled in the woods, overlooking a fishing pond. There is a queen size bed in the loft and a sofa sleeper in the living room. A jacuzzi for two allows you to relax as you watch the remote-controlled gas fireplace. The mini kitchen is equipped with cookware, dishes, and appliances. You can also watch the birds in the large bird feeder outside the kitchen window or enjoy nature trails close to the log cabin. We ask that our guests refrain from smoking and bringing pets or alcoholic beverages onto the premises. We have no television.